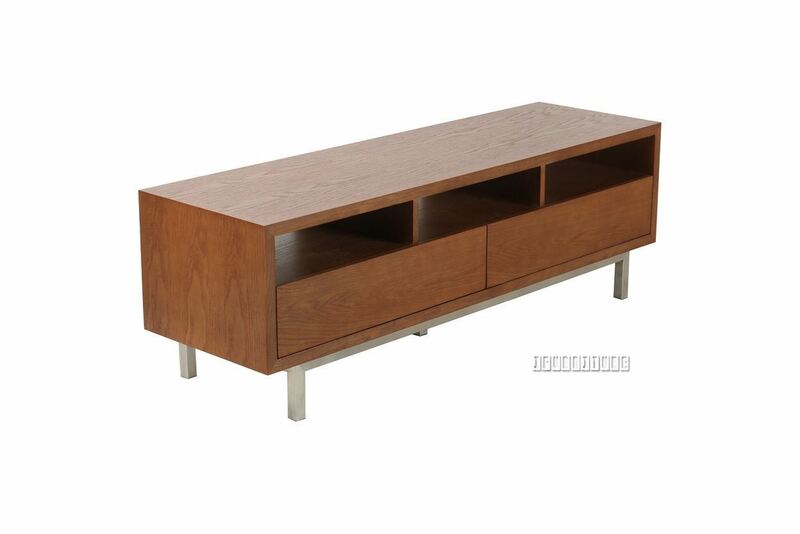 The SKYLINE range comes in very smart, dark oak veneer and with square stainless steel legs, and base. These sleek pieces bring a touch of sophistication to your room and will be appreciated by all. The SKYLINE TV UNIT has a handy shelf below the top, to keep items out of the way. Also, there are two very useful, large drawers at the base for further hidden storage.